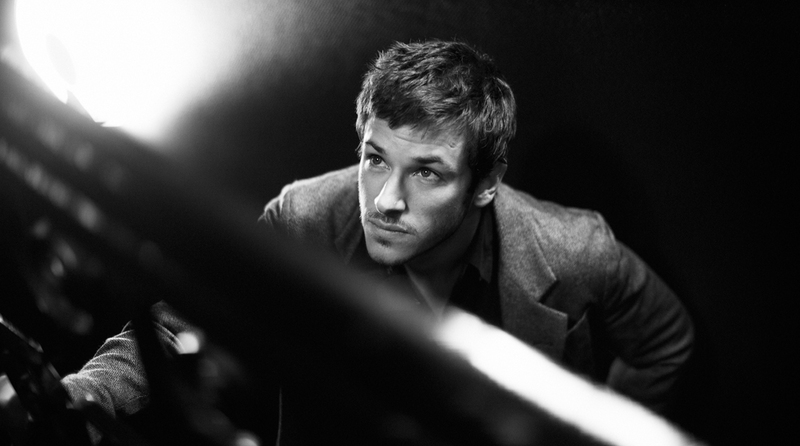 In the States, Gaspard Ulliel (pronounced ull-yell, preferably with a French accent) is most commonly referred to as ‘that one French dude’ or ‘the sexiest man on the planet’—depending on who you ask. Since getting his modest start in made-for-TV movies in France at 12 years old, Ulliel has built the sort of CV that nobody could have predicted, least of all the actor himself. 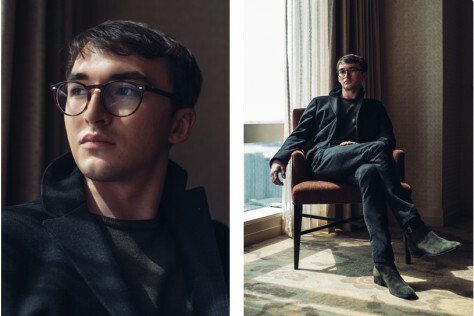 Now, 26, he has already worked with Gus Van Sant (Paris, Je t’aime), took on Anthony Hopkins’ career-defining role as Hannibal Lector (Hannibal Rising), became the face of Chanel’s new men’s fragrance (Bleu de Chanel), and was nominated as the Most Promising Male Newcomer at the César Awards—the equivalent of the Oscars in France—for three consecutive years. Ulliel’s most recent role in Bertrand Tavernier’s The Princess of Montpensier, a costume drama that premiered in competition at the Cannes Film Festival last year, continues to take him beyond home turf recognition toward international idolatry. An adaptation of Madame de La Fayette’s 17th century short story, the princess in question is Marie de Mézières (Mélanie Thierry), a beautiful aristocrat who falls for the rakish Henri de Guise (Ulliel), but promised by her father in a political match to marry his childhood friend, Prince de Montpensier (Grégoire Leprince-Ringuet). The Princess of Montpensier opens this Friday in New York and Los Angeles with a national rollout to follow. When did you get into New York? I flew in yesterday. I really enjoy this city a lot and have a couple of friends here. I think I’ve been here maybe 10 times now. It happens, but not as much as in France, obviously. It’s mostly French people that recognize me in New York. I find it interesting that a lot of people know who you are outside of France and Europe, but they’re not so familiar with the specifics of your film work. I think that will change, though, especially with The Princess of Montpensier hitting theaters in the US. How did you get involved with that project? It all happened quite smoothly. My agents told me that Bertrand Tavernier, one of the major filmmakers in France nowadays, wanted to meet with me. I had coffee with him at this little café in Paris and he was very straightforward and offered me the role. I read the script the next day and really liked it. I was keen on working with him even if the script didn’t meet my expectations, but thankfully it did. The film is based on a famous short story, right? It’s a really important story in French literature. It’s such a lovely story and I studied the author, Madame de La Fayette, when I was in school. I thought Bertrand did a great job on the script with his co-writer, Jean Cosmos, because the short story is quite old-fashioned. It’s from the 17th century, the beginning of romanticism in French literature. It’s written in a style that, for young people especially, can feel a bit cold in certain parts. The construction is so elliptic that it feels cold. But they managed to do the complete opposite with the film, which feels very modern and full of life. I was also pleased with the dialogue because they managed to form this special language that’s credible for this period in history and, at the same time, totally understandable for modern audiences. It’s not at all how I would speak in modern life, but it was really interesting to work with this kind of language. There’s a lot of sword fighting and horse riding in the film. What kind of training did they put you through? I had never been on a horse before. I learned how to ride from this great trainer and he had amazing horses. It was actually quite easy because the horses were so well behaved and they were specifically trained to work in cinema. They’re like a Rolls-Royce. [Laughs] You whistle and they would stop what they’re doing. I’ve actually continued to ride horses after the shoot. I think I discovered a real passion for it. As for the sword fighting, we worked on the choreography for about a month and a half before shooting. It was tough at certain points because I have many fights in the film. We started training too close to the beginning of the shoot, so we had to work on it very intensely. It felt more like a dance than fighting because everything is planned in advance. But yeah, this was really interesting too. You often say that you fell into acting by chance. If I was a struggling actor, I think I would absolutely detest hearing stuff like that from uncommonly successful people like yourself. [Laughs] Well, I studied acting when I was really young, but it was something I did after school for fun with other kids. When I was 11 or 12 years old, a friend of a friend my mother was working at an agency and she was looking for young actors. She asked me if I wanted to give it a try and I said ‘yes,’ but just for fun. Quite quickly, I ended up with some small parts in films and I kept doing it, shooting maybe 1 or 2 things a year. I started acting on French TV with small parts. I like looking back on that today because I had a slow and regular progression as an actor. I started with small parts before going into feature films and that gave me time to think. It’s not before I reached 17 that I really decided to continue working in this industry. At first, it was just something I wanted to do for fun. What was it like working with Gus Van Sant on “La Marais” for Paris Je t’aime? I’m a big fan of Gus and his films, so I was so happy to be able to work on that with him. We kept in touch for a bit and discussed making bigger films together, but this never happened. We had a really nice project together that would’ve been shot in France, but it didn’t happen in the end. I regret that because I’m a really big fan of his work. Yeah. Did he seek you out? You also worked with Martin Scorsese on the Blue de Chanel campaign not long ago. How did you get paired up for that? I wasn’t directly connected to Marty. It’s the Chanel people who phoned me saying they were interested in working with me on a campaign. We had a lot of discussions about it. At the time, they hadn’t chosen a director. One day, they came to me with the idea of asking Martin Scorsese and of course I said, ‘That’s a great idea. I would be the happiest man in the world to work with him.” So that’s how we ended up working together. I pinched myself on the set every day—“Yup. I’m not dreaming.” [Laughs] It was really great because Chanel gave Marty and me total freedom. He works so precisely and you can see that his team loves him so much that they work really hard. Marty knows exactly what he wants, how he’s going to get what he wants, and knows when he has it. This shoot only lasted 4 to 5 days. It all certainly looks very good. The perfume sales are so good. That’s the purpose of commercials, so it was a big success. Looking back at your career and what you’ve accomplished, what else sticks out to you? What are you particularly proud of having done? I think one really memorable experience for me was on a film called Strayed by André Téchiné, a great filmmaker in France. That was an experience where I learned the most because he wouldn’t leave me alone, even for a second, between takes. [Laughs] He was really focused on his actors and that was really wonderful. I was really young at the time and that was a really important film for me. Do you want to eventually direct your own films? I do, but it’s a bit difficult. I think I was around 17 years old when I had my first parts in feature films and that’s when I really started to get interested in all of cinema, not just acting. After high school, I went to film school for 2 years. That was a great moment for me because I discovered a lot of directors from around the world and a lot of different types of genre. It would’ve taken me a long time to make these kinds of discoveries on my own without school, so I’m really thankful. At the time, I wanted to express myself with my own films as a director, but as I was getting more and more offers as an actor, I had to stop those studies to focus on acting. I feel trapped now because I really enjoy acting. But it’s true, I wake up every morning with this idea stuck in my mind that I want to write and direct my own film one day. As I work more and more on different sets, I see how hard it is to be a director. It’s insane the amount of work and confidence that goes into it. I’m so respectful of filmmakers and I admire what they do. I hope that one day I’ll find the right subject and the confidence to try it. I’m still young. Have you come across any good screenplays lately? I’m reading a lot, but nothing really interesting. I’m in this very tricky moment in my career where I have to be really aware about where I’m going and what I want to show the audience and the industry. This is a shame, but you have to keep in mind what kind of image you want to put out there. I think the hardest thing for a young actor is to breakthrough and keep working toward a long career. Right now, I’m at a level where I have to pick the right projects in order to maintain a good stature in the industry. I have a few projects coming up in France and I’m going to shoot something this summer with a director friend of mine, a young director. Aside from a good story and interesting characters, do you look for anything specific when you’re considering screenplays? I think something has to speak to your identity with every role, both as an actor and a public figure. So you have this kind of repetition from one film to another, from one part to another. At the same time, you need to try and find the right balance and be able to move from one character to another where you can surprise the audience all the time. Obviously, the idea is to work on characters that I never really explored before and projects that are different from what I’ve done before. I like working with new directors and different styles of film. I think the more you work as an actor, the more you’re looking for parts that are the furthest from what you are in real life. I guess Hannibal Lector is a good example. What kind of pressure were you under with Hannibal Rising? It was terrifying. When they asked me if I wanted to do this project, I refused many times before finally agreeing to it. I didn’t think it would be a good idea to pick up this role after Anthony Hopkins because he did the most amazing job in creating this character. Also, working on this role with a French accent was a bit awkward. It was meeting with the director, Peter Webber, that really influenced my decision because he was really witty and had interesting thoughts on how he would make it. I really liked his first film, Girl with the Pearl Earring. Also, being able to work abroad with an American and British crew, shoot it in English, and work on such an amazing and mythical character was what convinced me to give it a try. It wasn’t easy. Can I ask you about the scar on your cheek? It’s your trademark. What films have you seen most recently? The King’s Speech was a good film. I think it was a bit classical in the directing and I liked that. Then I saw True Grit. I kind of liked it. I prefer their last film, A Serious Man, but this one was also quite nice. The young girl in it is just amazing. I saw this Australian film called Animal Kingdom and I really liked that. It has really great atmosphere and great actors, too. I also saw Black Swan. I loved it. It’s a masterpiece for me. It’s very clever in the way that the director brought together the codes of a B-movie and made it mainstream. Natalie Portman is just amazing.